AccorHotels is celebrating six prestigious award wins following last Friday night’s 2018 NSW Tourism Awards presentation, held at Luna Park (22 November 2018). The hotel group was triumphant in the categories of Luxury Accommodation, Deluxe Accommodation, Unique Accommodation and Business Event Venues. 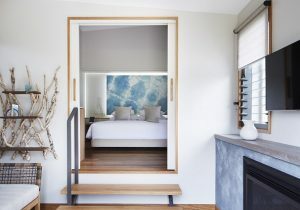 Taking home two GOLD awards in the categories of Luxury Accommodation and Business Event Venues, Elements of Byron, part of the MGallery by Sofitel Collection is continuing its award-winning streak since its opening two years ago. Iconic Blue Mountains hotel, The Fairmont Resort Blue Mountains, also a member of the MGallery by Sofitel Collection is on cloud nine after scooping GOLD in the Deluxe Accommodation category and SILVER in the Business Event Venues – a double win for AccorHotels in this hotly contested category. These awards are testament to the successful relationship between the hotel team and its owner Dr Jerry Schwartz, and his continued investment in the property as it celebrates its 30th anniversary and new Ubika Day Spa. Novotel Lake Crackenback Resort & Spa was bestowed SILVER in the Deluxe Accommodation category, while Q Station Sydney Harbour National Park Manly took home SILVER in the Unique Accommodation category.